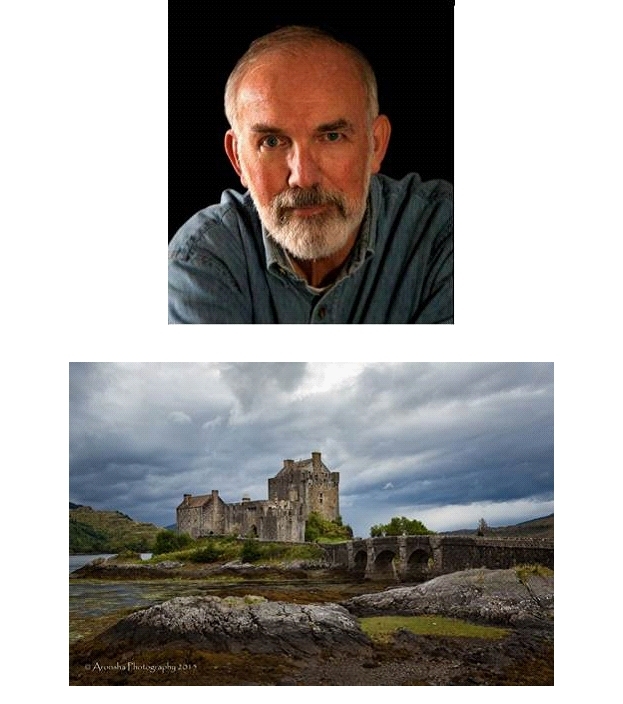 The LeConte Photographic Society is pleased to sponsor a free program on Saturday, Feb. 18th at 10:00 a.m. at the King Library entitled “Enchanting Scotland”. This program is open to the public. Ron and Sharon McConathy took a month-long trip to Scotland in September 2015, and will present the highlights of their journey. This show features ancient spiritual places, castles, interesting people, and lovely scenes from this remarkable country. Ron McConathy has been working in the field of photography for many years. His love of photography began in grade school when he acquired his first camera, a Brownie Hawkeye. Over the years and with many more cameras in his collection, his love of photography evolved into a passion and a full-time endeavor. Ron’s photographs have been featured in numerous fine art shows in the southeast as well as in magazines and in various textbooks and government publications. Ron’s graduate work in forestry at the University of Washington and University of Tennessee and a 20-year career in environmental research at the Oak Ridge National Laboratory provided a solid foundation for his love of nature and photography. A 24-acre home site in rural eastern Tennessee managed as a wildlife and natural plant habitat provides him with photographic opportunities literally just beyond his door. He has always loved photographing nature, wildlife, and scenic locations. Ron is a charter member of the North American Nature Photography Association (NANPA) and a charter member and past president of the Southern Appalachian Nature Photographers camera club in Knoxville, TN. After his retirement from ORNL in 2000, Ron expanded his photography business interests into wedding, travel, and portrait photography. He continues to teach several photography classes for the University of Tennessee Professional and Personal Development photography program (11 years and counting). In 2014, Ron officially closed his business, Aronsha Photography, but his passion for this art form continues unabated! The difference now is that he can photograph subjects and situations just of his choosing. He and his wife, Sharon, are now giving photography based presentations to retirement homes and camera clubs around East Tennessee and where ever they travel. Ron and Sharon’s photography can be seen at www.aronsha.zenfolio.com and their travel blog is at smokyandshann.blogspot.com .